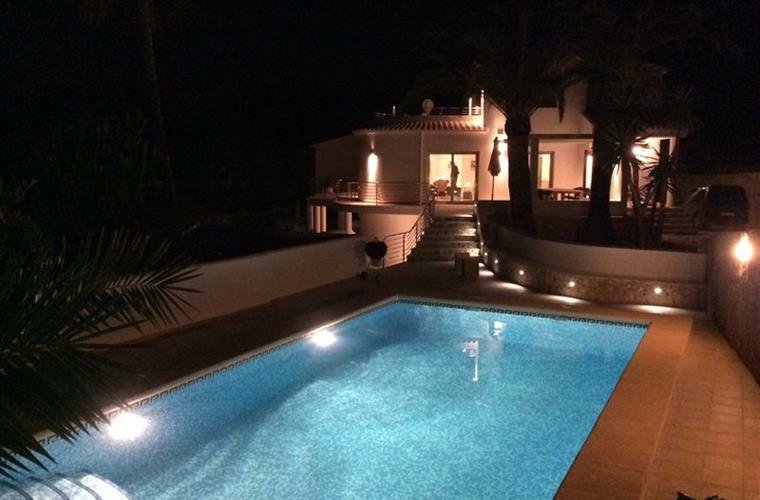 Enjoy a relaxing dream holiday in this stylish and luxurious villa with private pool. 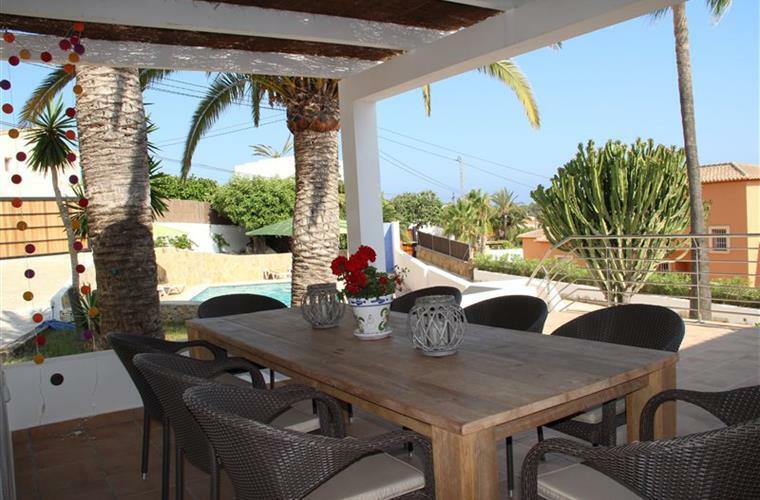 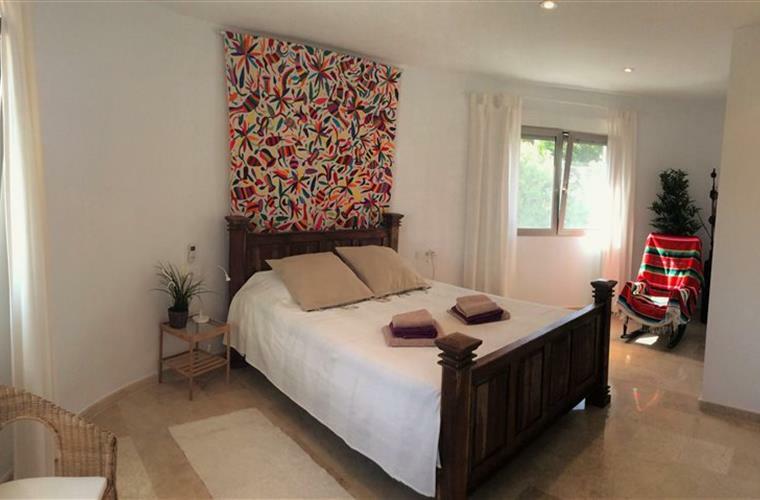 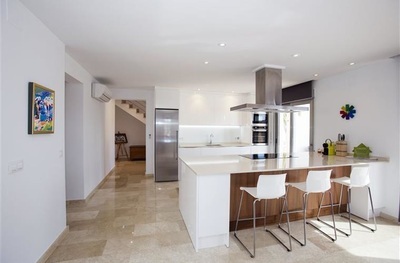 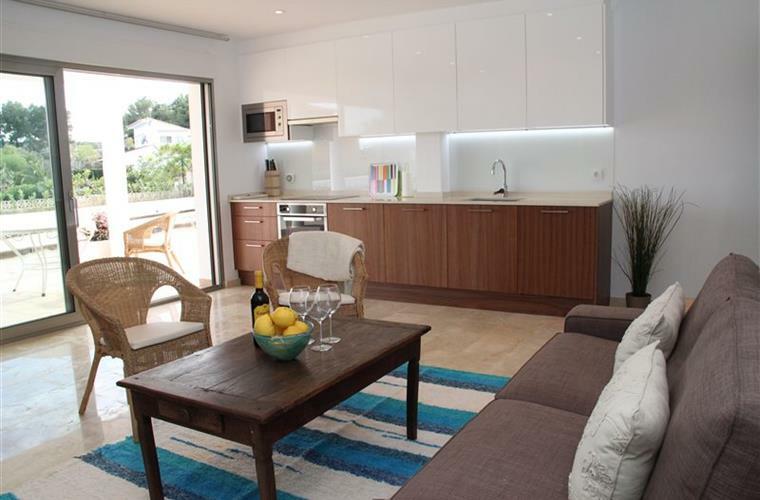 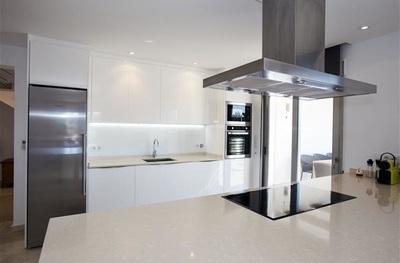 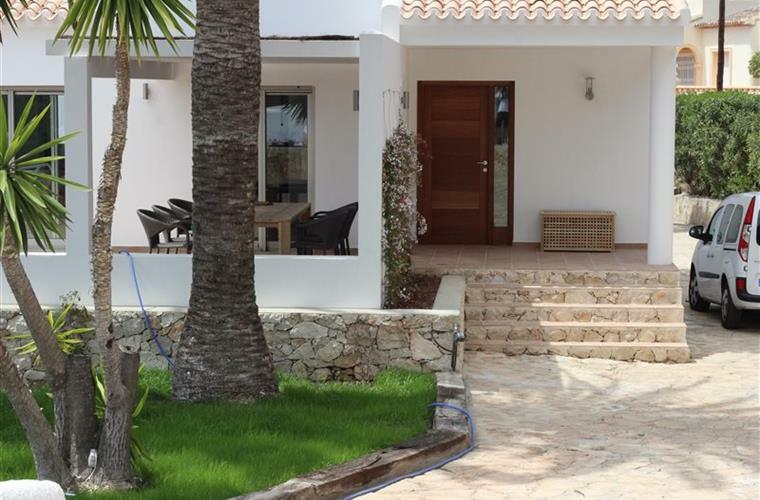 This modern villa was completely rebuilt and renovated in 2014. It is surrounded by a big garden (1700 m2) with palm-, lemon- and orange trees and several other plants that reinforces the everyday scenic view. 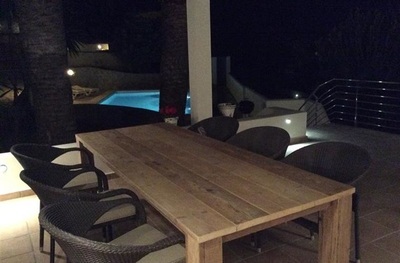 A large private pool (10 x 5 m), in direct connection with the terrace outside the kitchen, offers you a cooling recess from the warm Spanish sun. 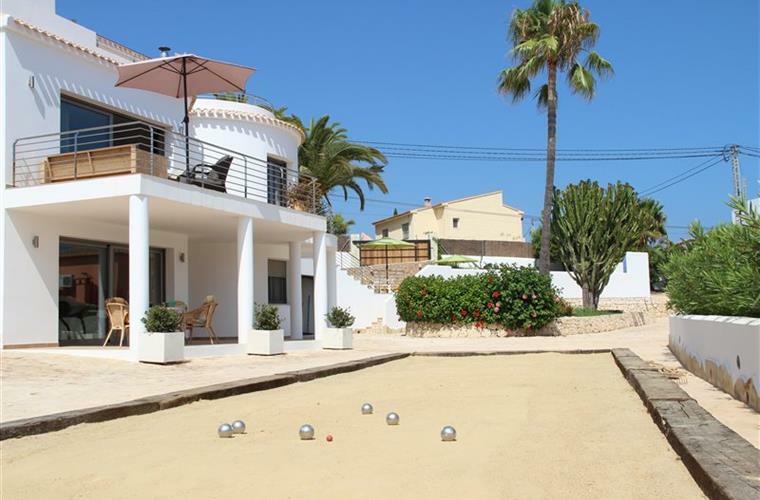 In the garden you will also find your own private boule/petanque court, where you can challenge your family and friends for a game. The villa has 3 levels, each with glass sliding doors out to adjoining terraces. 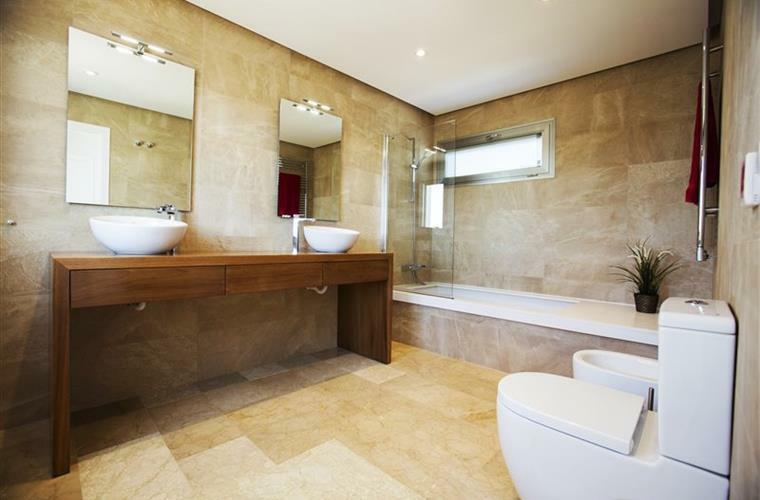 High quality materials are used throughout the house, such as marble floors and stainless steel railings. 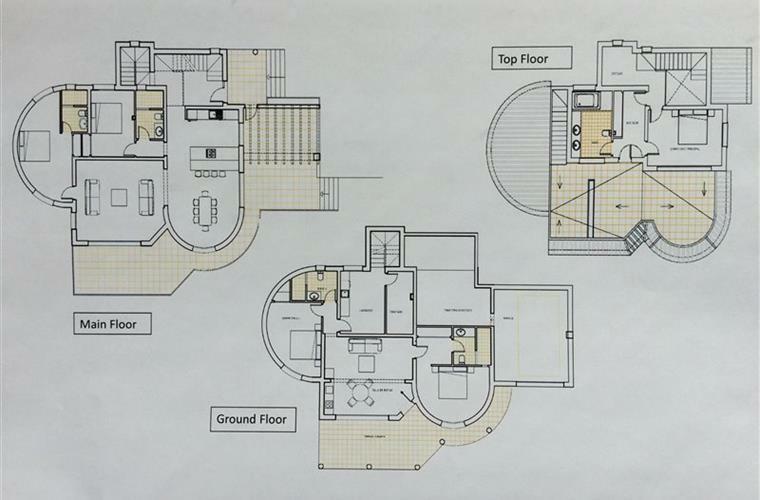 The main entrance takes you to the main floor, which constitutes the heart of the house. Here you find the top modern main kitchen with a large kitchen island, the dining area and the main living room overlooking the pool and the surroundings. 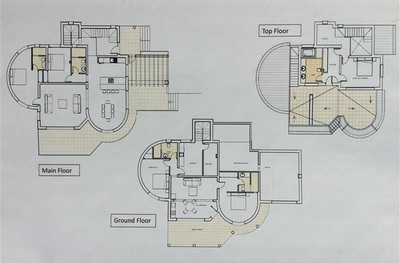 On this floor there are two bedrooms; one with a king size bed with en-suite bathroom and one with 2 single beds and a connecting bathroom. 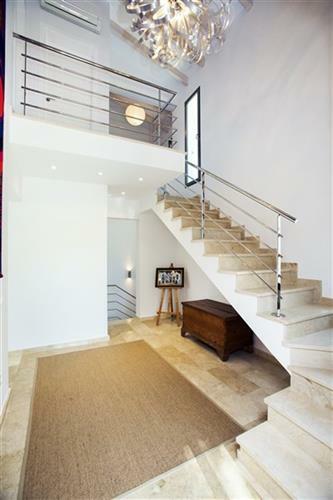 From the entrance hallway, staircases will take you either downstairs to the ground floor or upstairs to the master top floor. 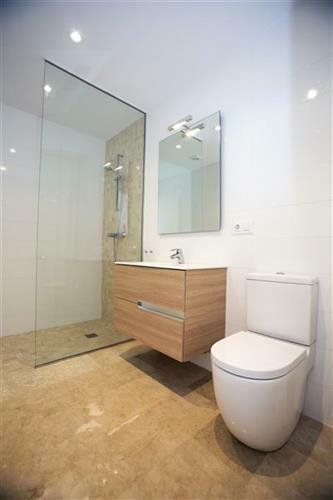 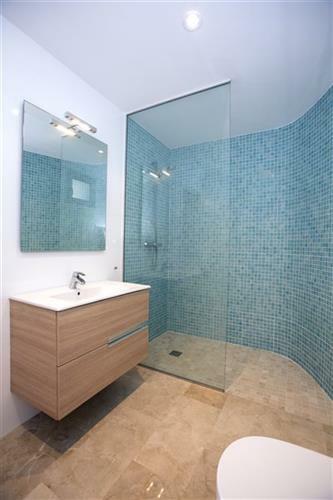 The top floor accommodates a luxurious master bedroom and a large master bathroom. 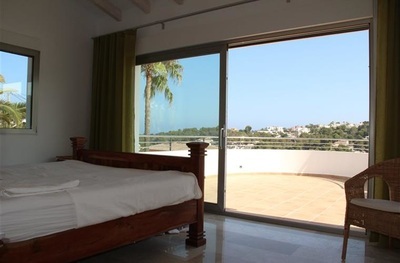 From the bedroom you have direct access – via glass sliding doors – to a private terrace overlooking the sea and neighbourhood. 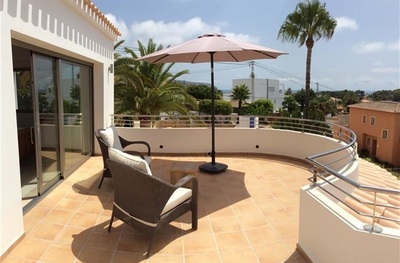 Take another flight of steps and you will reach the roof terrace with a wonderful sea view. 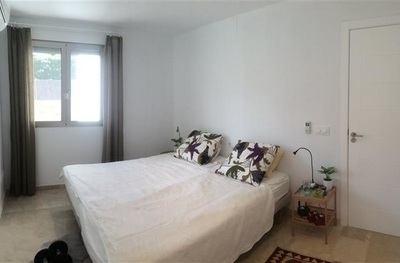 The ground floor is planned as a self contained apartment with own entrance, living room with a fully equipped kitchen connecting to a covered terrace. 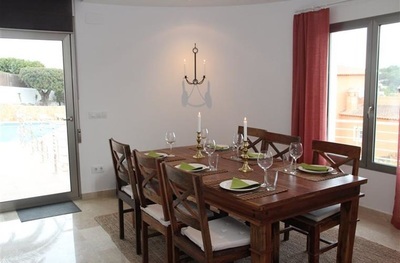 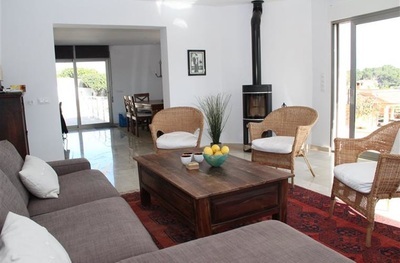 The house is therefore perfect for two families or groups of any kind. On this floor you will also find two large bedrooms; one with a king size double bed and en-suite bathroom and one with 2 single beds and a connecting private bathroom. 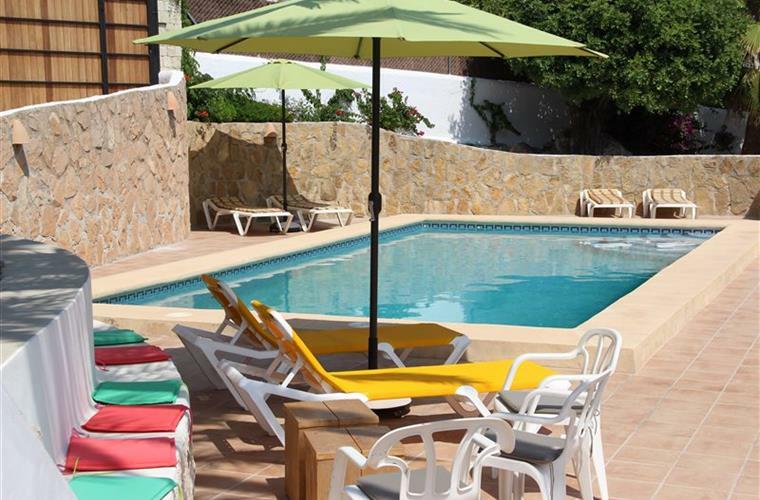 From the terrace there is easy access to the pool area. 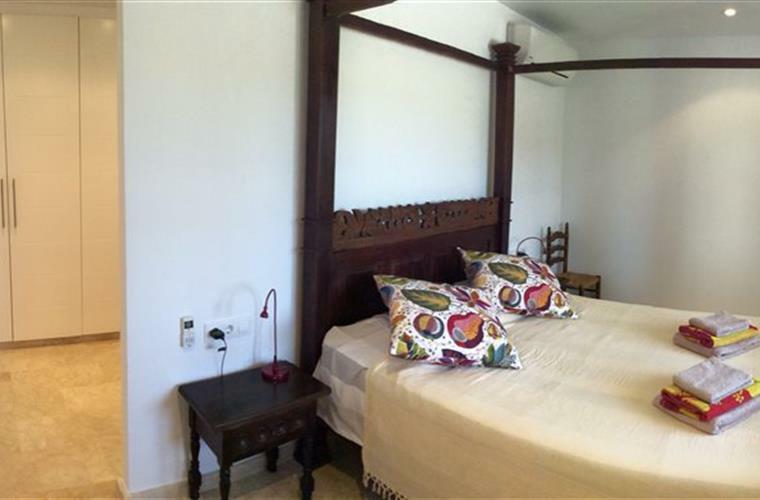 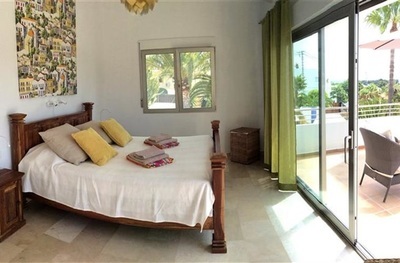 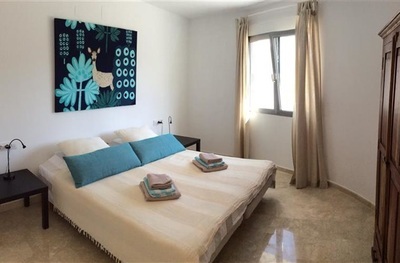 The villa has air conditioning/heating in every room, floor heating in all bathrooms, free WiFi and a separate laundry room with a washing-machine/dryer. All beds are full length (200 cm) and extra beds/mattresses can be provided on request. For your convenience, the entrance gates can be operated by remote controls. The plot offers plenty of parking spaces. There are many restaurants of different kinds nearby and the closest supermarket is only 300 meters away. 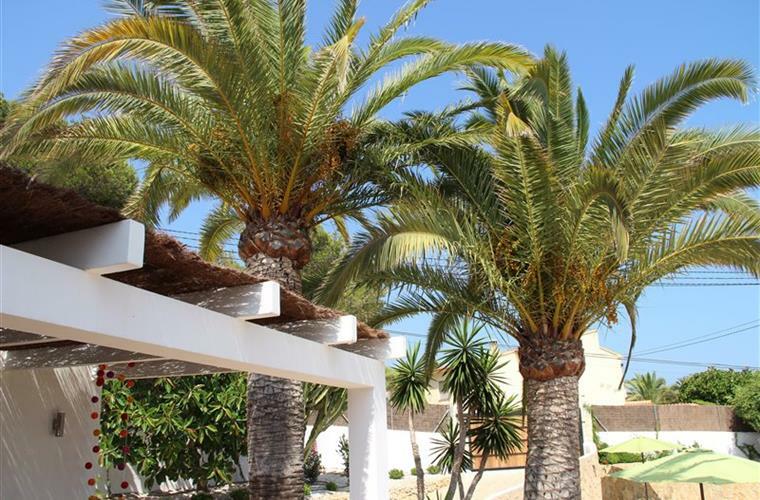 Within 500 meters you will find the nearest beach area with the popular Algas Beach Bar. 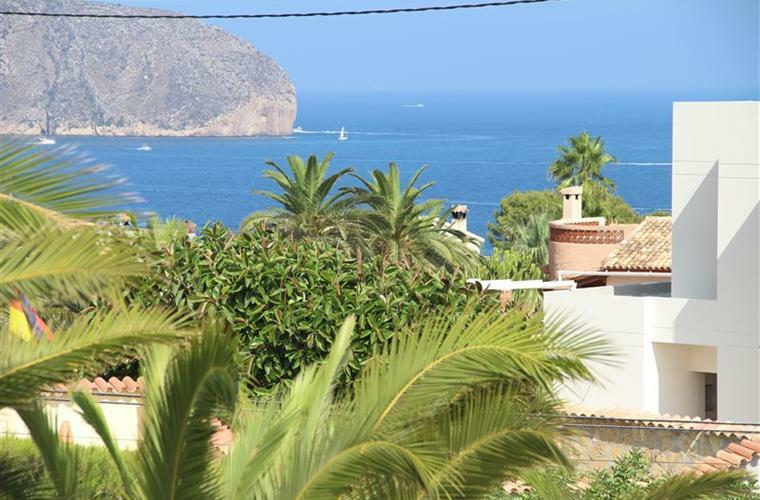 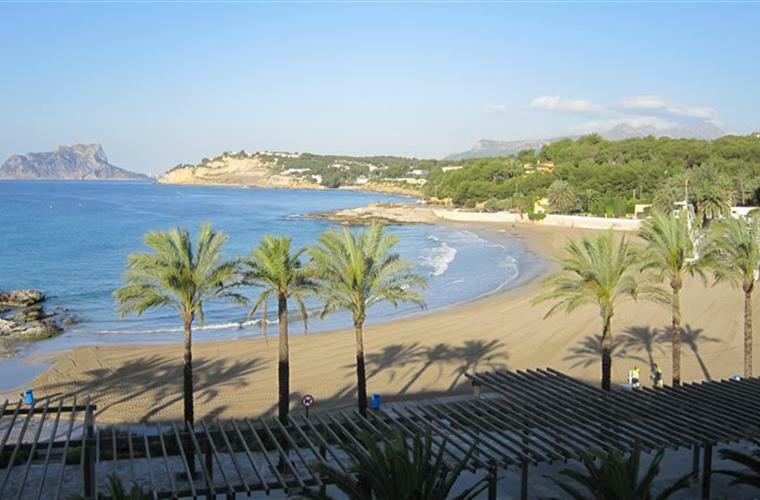 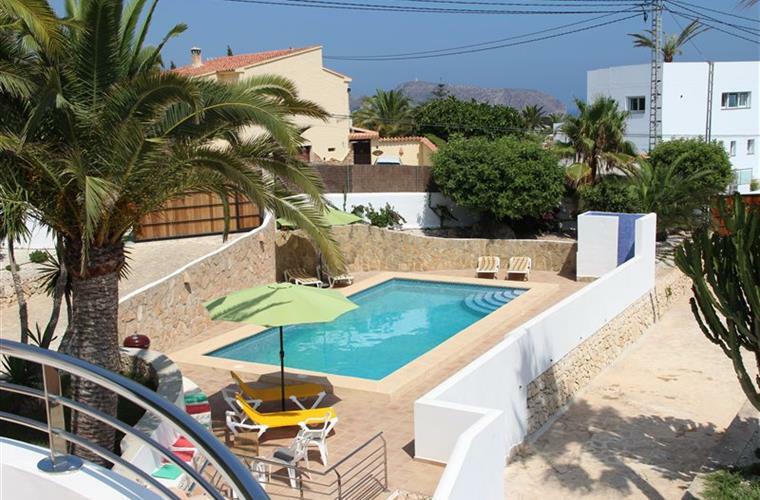 The villa is located in a tranquil neighbourhood, yet only 1.5 km easy walking along the sea to the lively Moraira town with an active marina, shops and restaurants, offering you a great mixture of peace and relaxation as well as activity and action. - Linen and towels € 15,- p.p.